Discover what it truly means to be an involved member of your church and grow in your faith. Unlike many books on church membership, Being a Christian in the Wesleyan Tradition does not spend a lot of time on bylaws or matters of organization. Instead, the author speaks to the heart of our participation: how we belong, what we believe, how we live, and the possibilities for our growth in faith. Christians belong to a community of faith, John Gooch stresses. 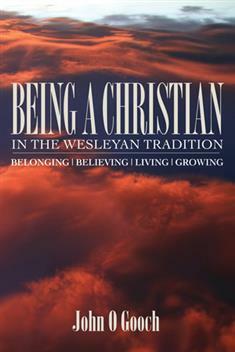 Being a Christian in the Wesleyan Tradition shows how you can live your faith in private and public acts of devotion and ministry.